Thickness tolerance in accordance with BS EN 10029:2010 Class A. Flatness tolerance in accordance with BS EN 10029:2010. Profiling tolerance +/-2.0mm to +/-6.0mm depending on thickness and length. Multiheaded flame cutting with 8 cutting heads. Cutting thickness from 6mm to 270mm (dependant on material). Cutting area of 22m x 5m. Cutting bed area of 42 x 5m. Full range of carbon and mild steels stocked in popular thicknesses. If not in stock, we can usually source your material in 24-48 hours. We are happy to cut free-issue materials. 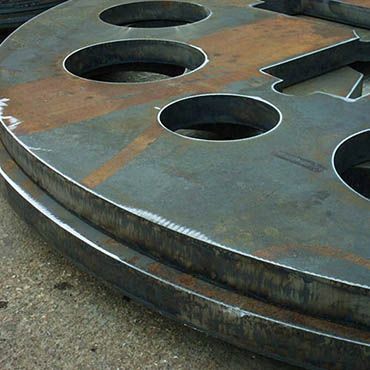 We have over 35 years experience in flame cutting steel and even today, it is still an efficient and cost effective method of profiling steel. With multi-head cutting machines we can offer excellent cost savings on large production runs on steel up to 270mm thick. 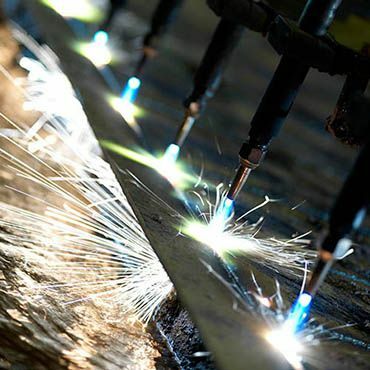 The large cutting beds (22m x 5m), coupled with our multi-head flame profiling machines, make flame cutting the ideal choice for performing high production runs.Our accurate in-house programming ensures cost-effective processing and material is finished and treated to customer own individual specifications. If you only require a small production run, don’t worry, we are still well equipped to help. 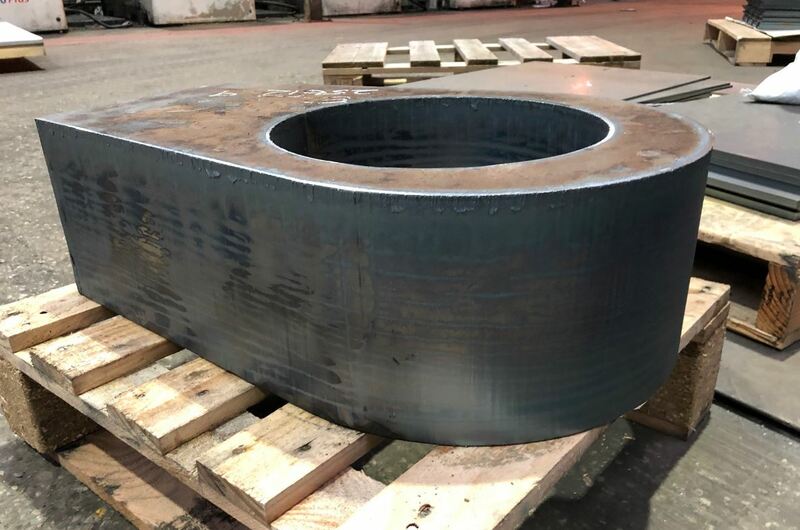 Our experienced staff are always on hand to help answer any questions you may have on our flame cutting services, please contact us with any queries. After extensive auditing we have been awarded a BS/EN 1090-1 Factory Production Control (FPC) certificate allowing us to laser / plasma / flame cut parts compliant for use within CE Marked construction projects. 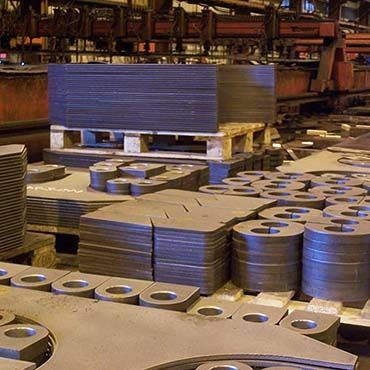 All material grades are offered, if we don’t have it in stock, we can usually source the material within 48 hours. We can also profile cut your free issue material. We can offer 100% mill traceability certificates and conformance upon request. 3mm kerf – depending on material thickness. Cut surface will show a striated structure. Edge squareness is fair but will demonstrate non-parallel cut edges with some frequency. Edge burring will occur but all parts are cleaned and fettled before dispatch. Flame cutting produces a heat affected zone (HAZ) that may need to be removed by additional machining.